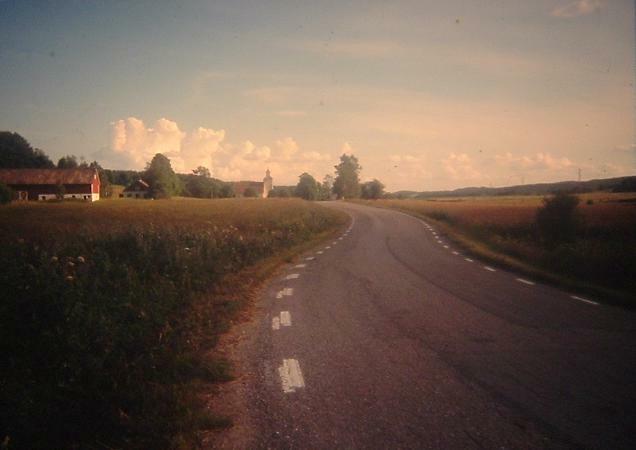 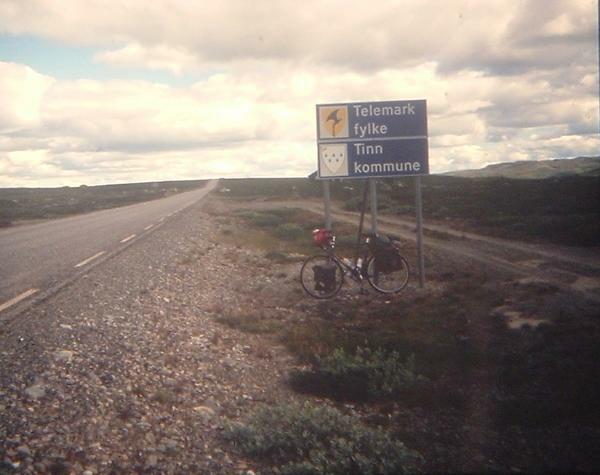 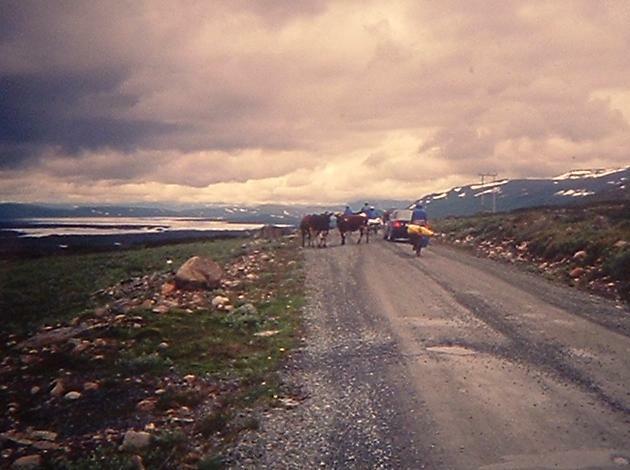 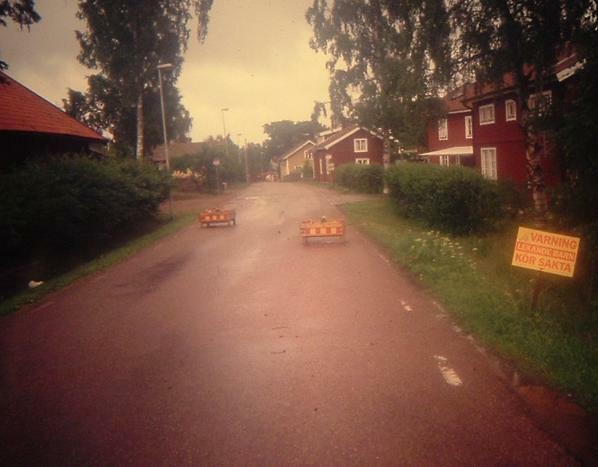 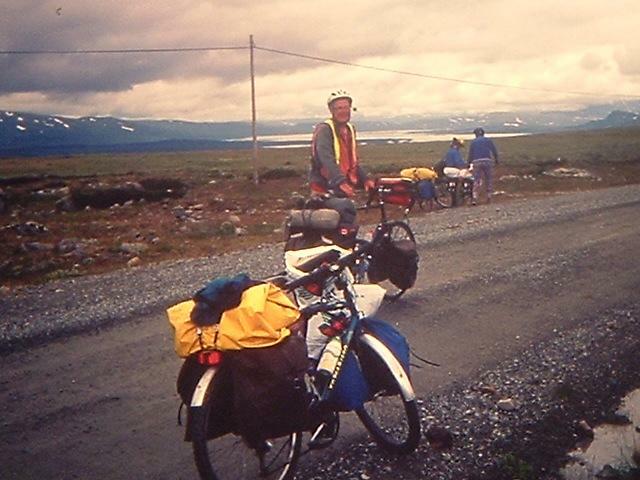 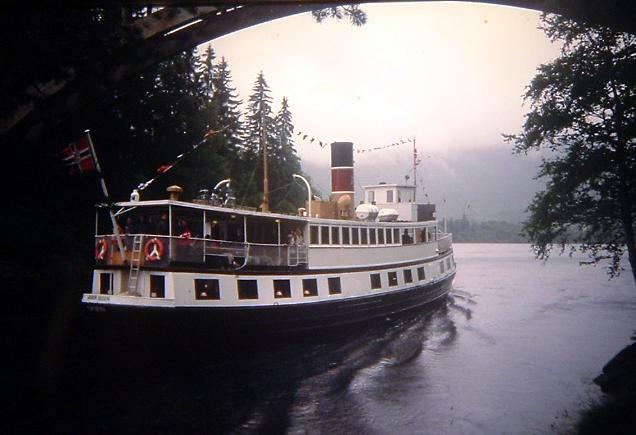 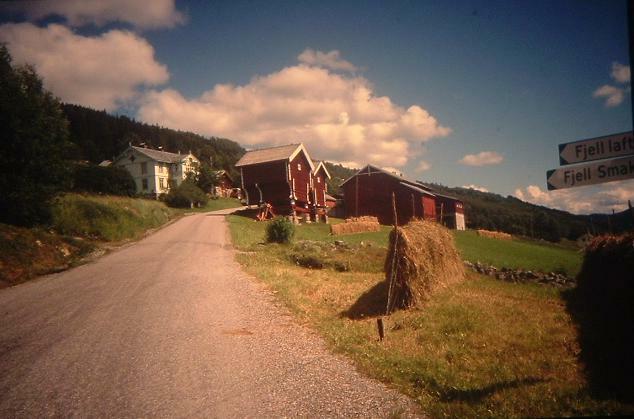 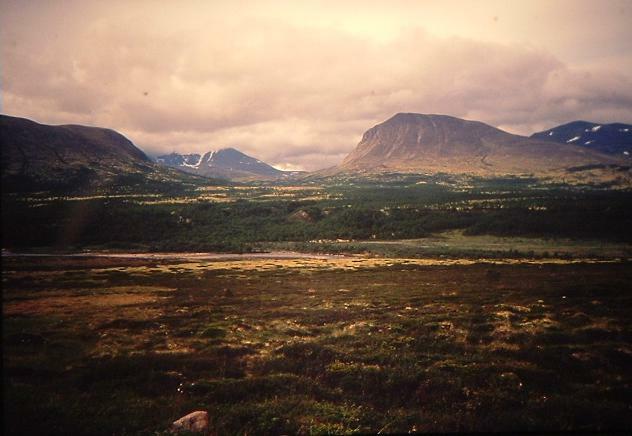 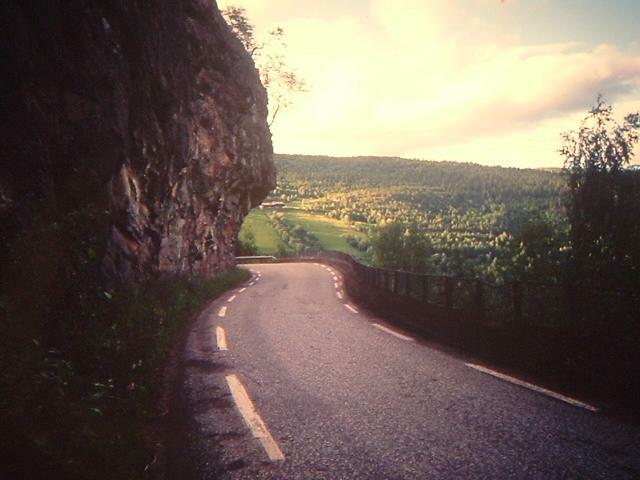 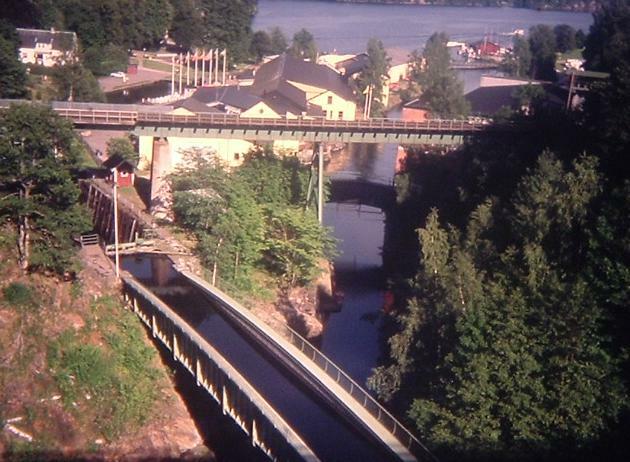 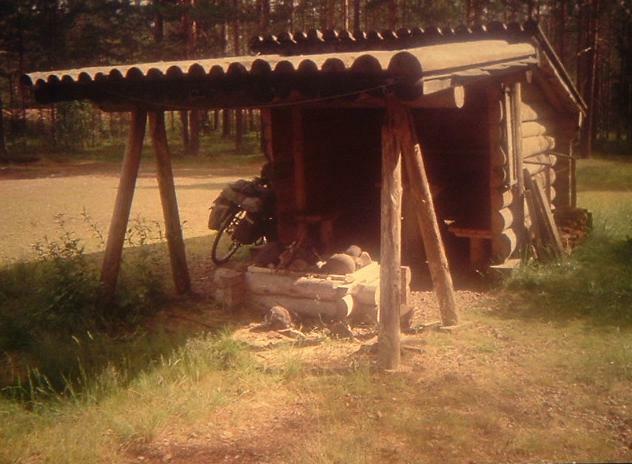 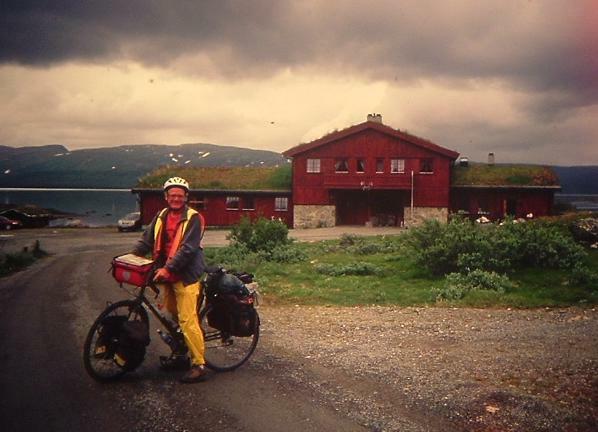 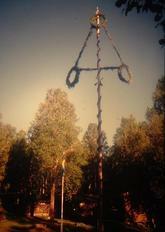 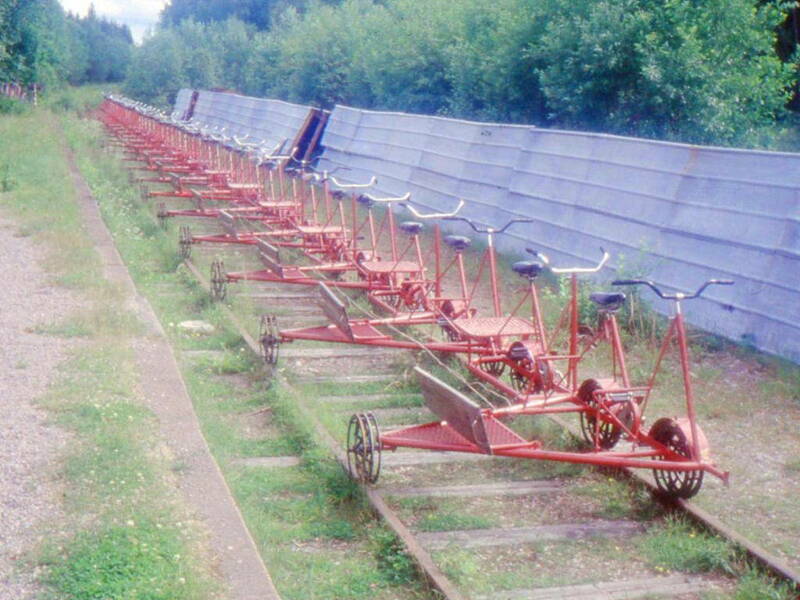 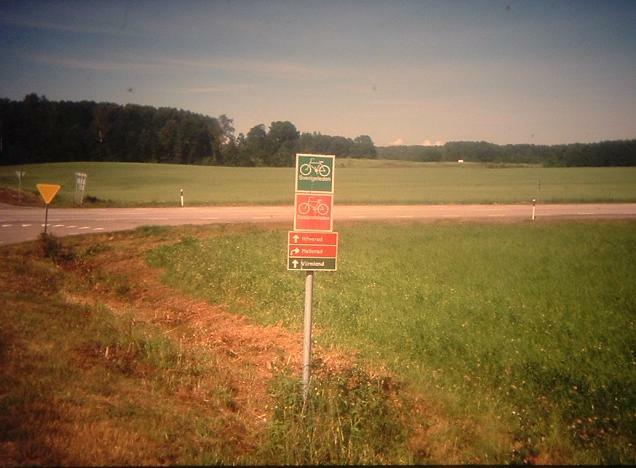 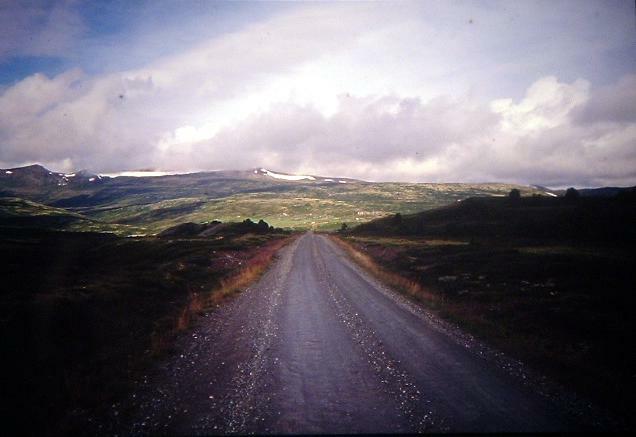 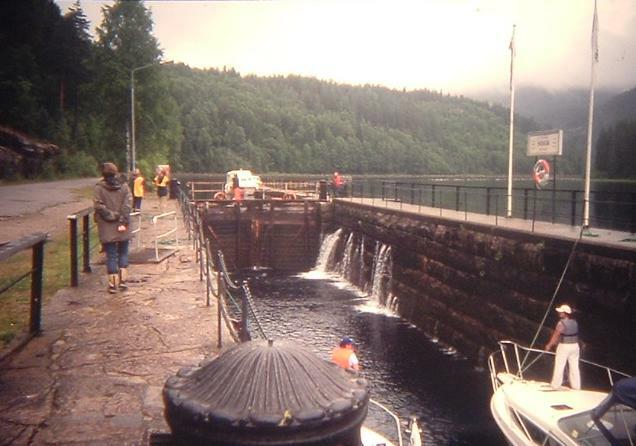 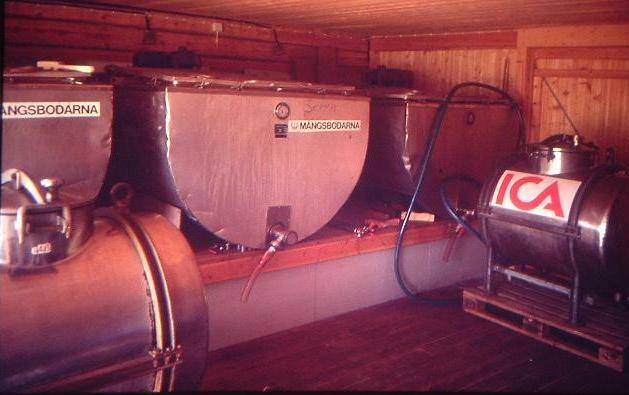 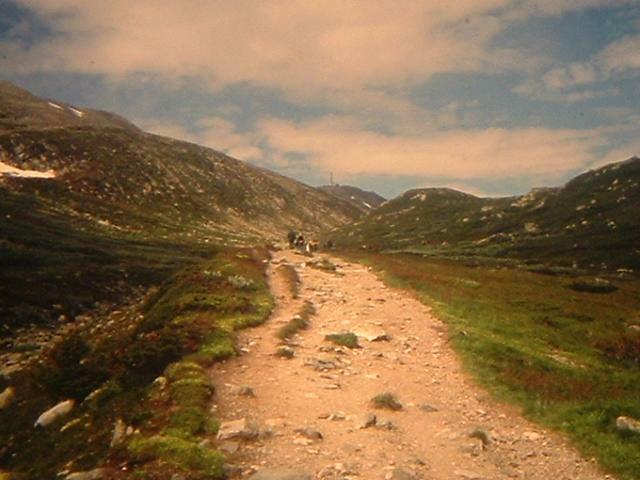 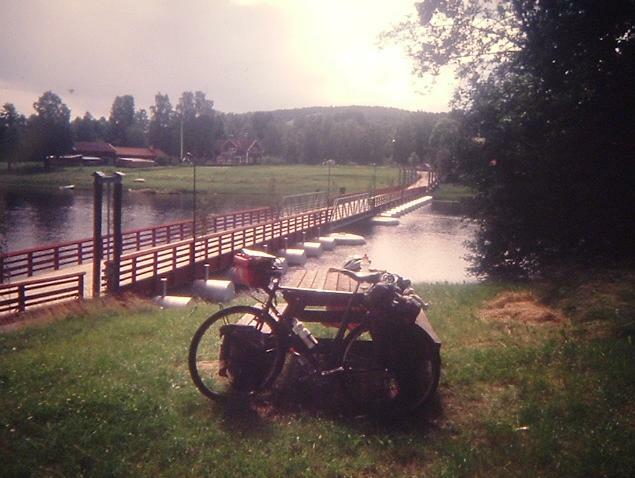 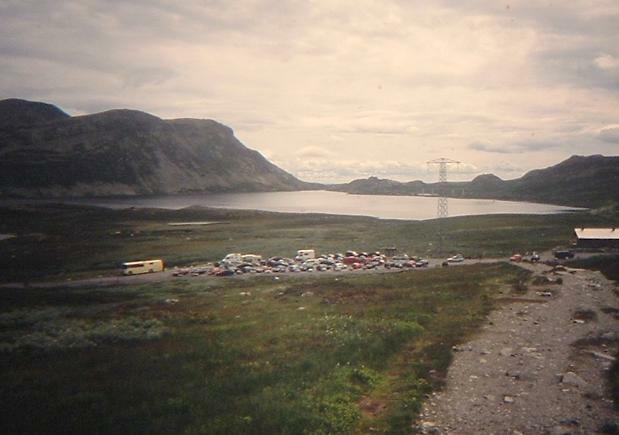 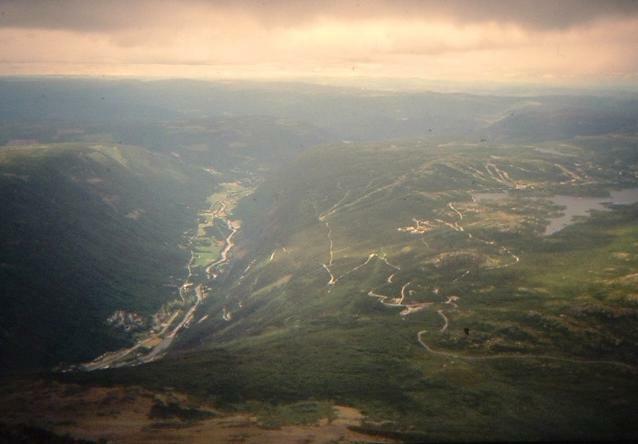 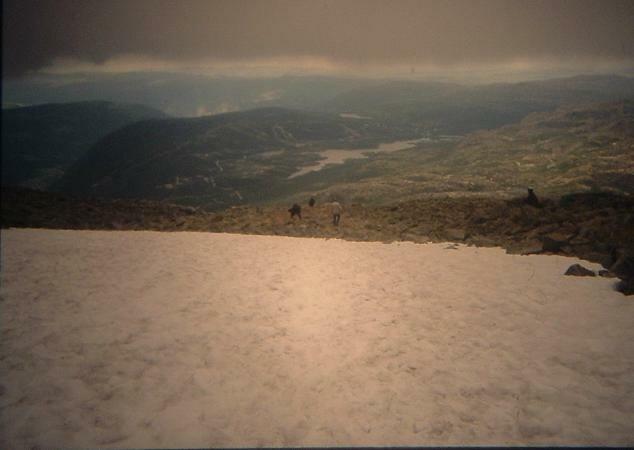 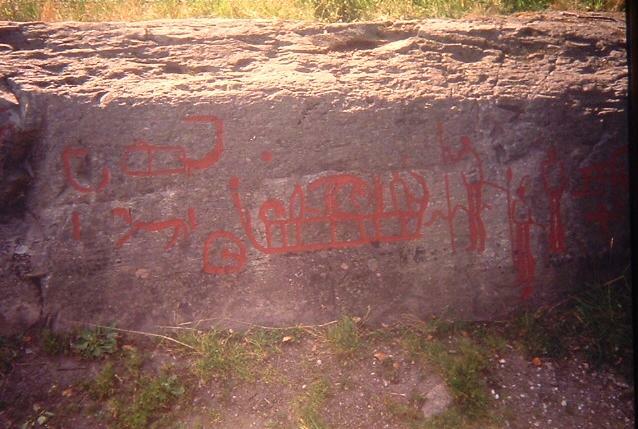 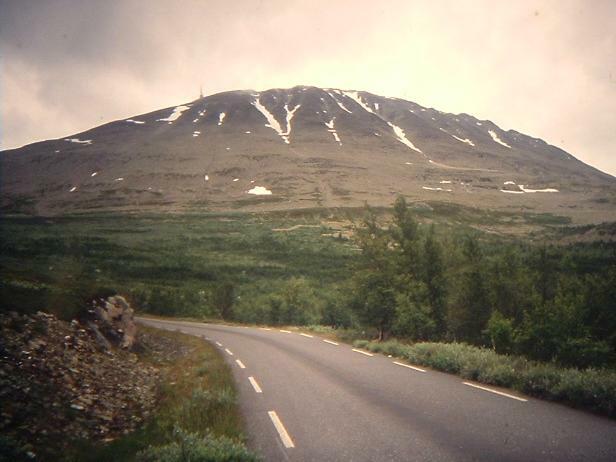 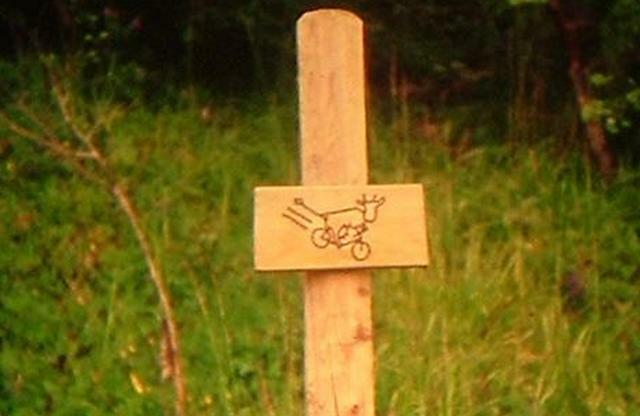 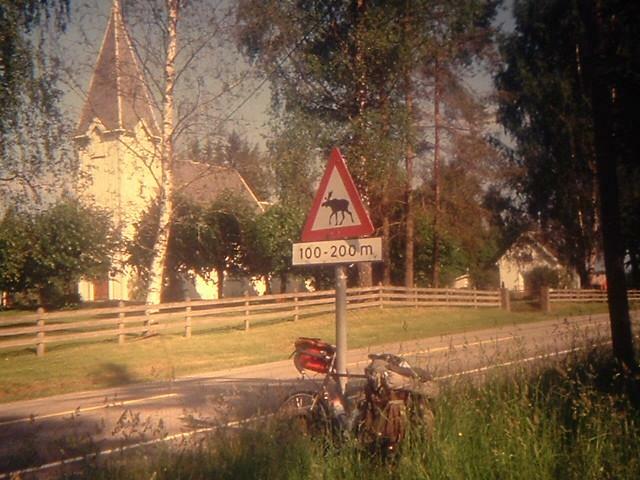 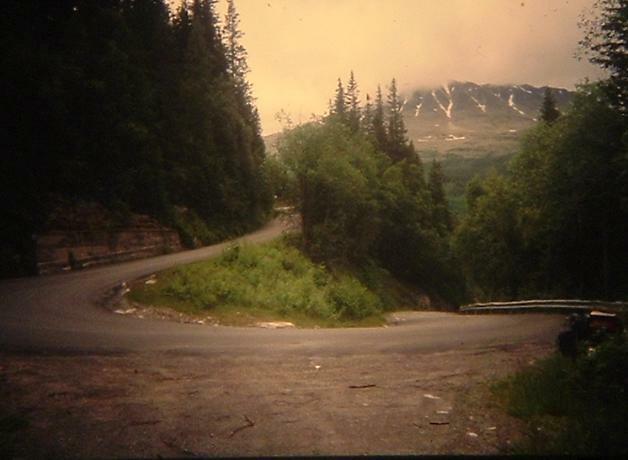 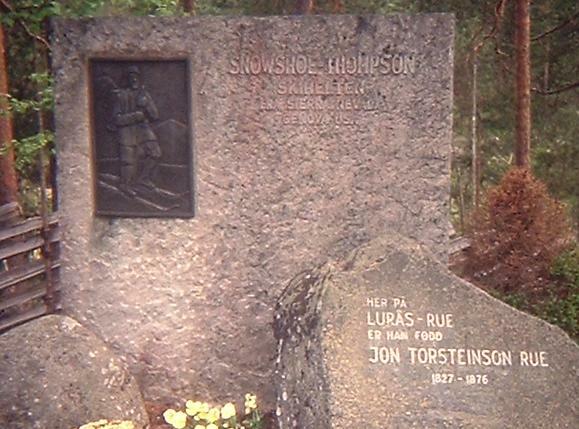 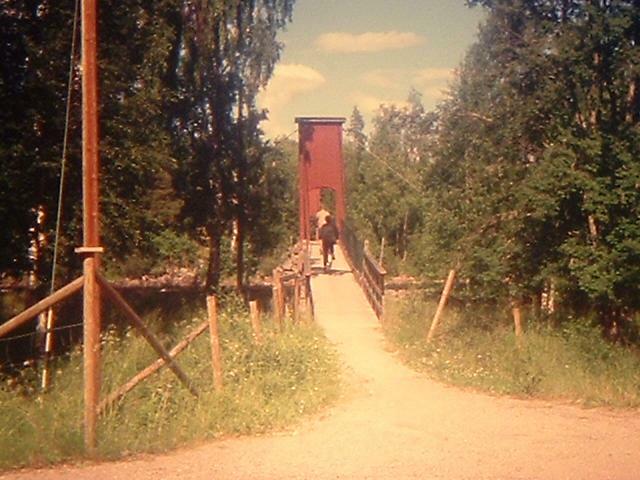 These are photos from my bicycle tour in Norden, June - July 2002. 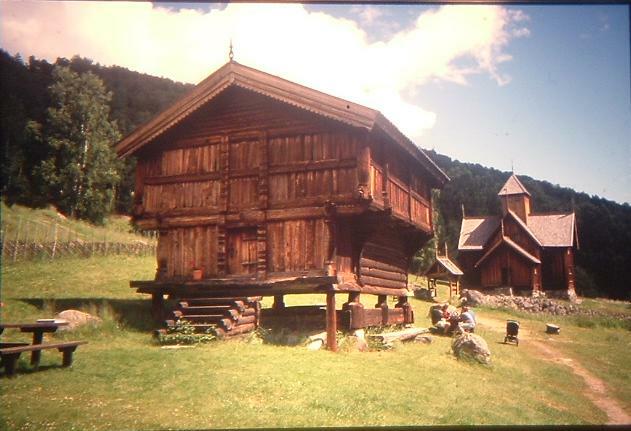 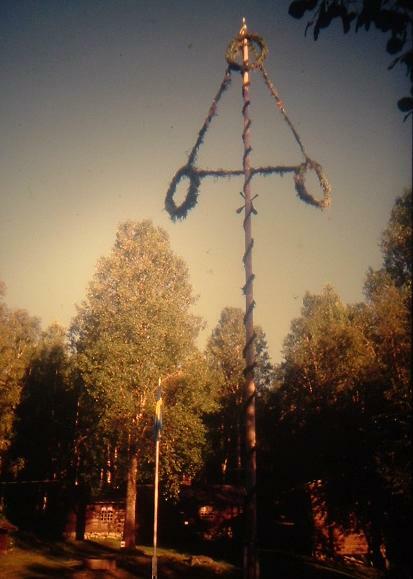 They are scanned from 35mm slides. 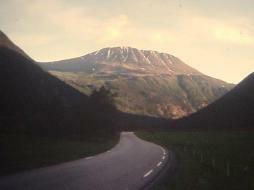 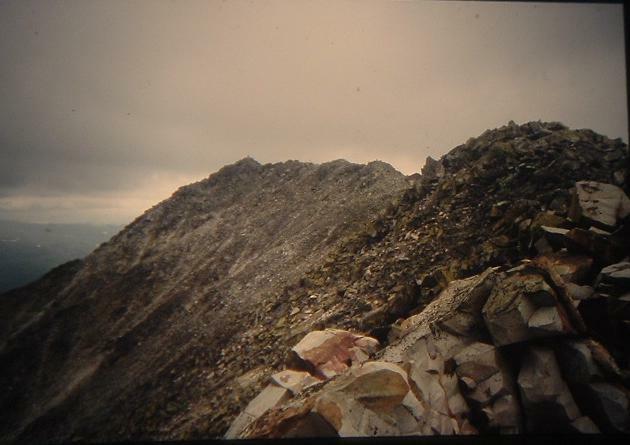 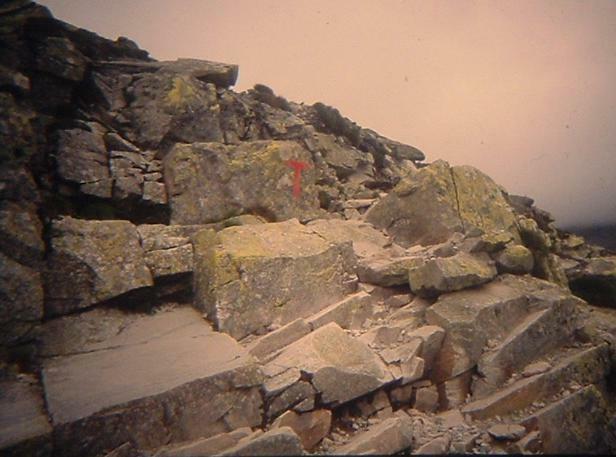 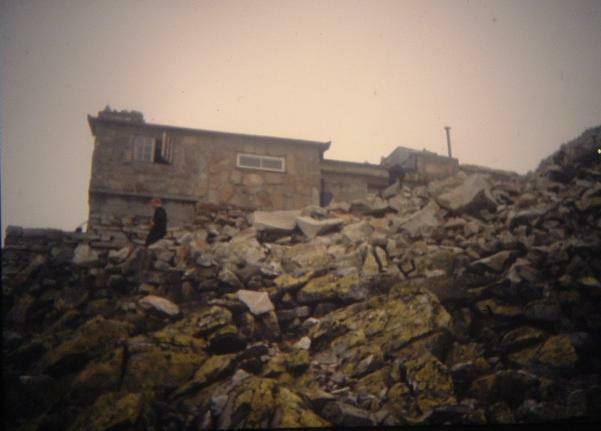 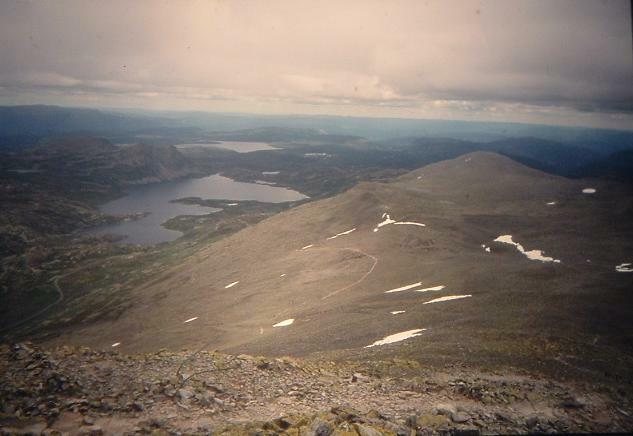 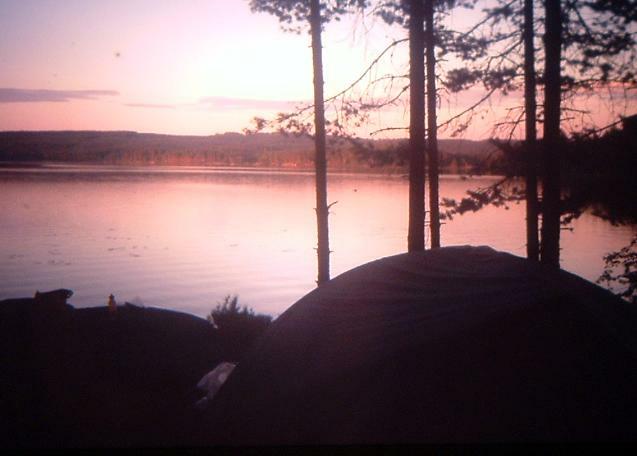 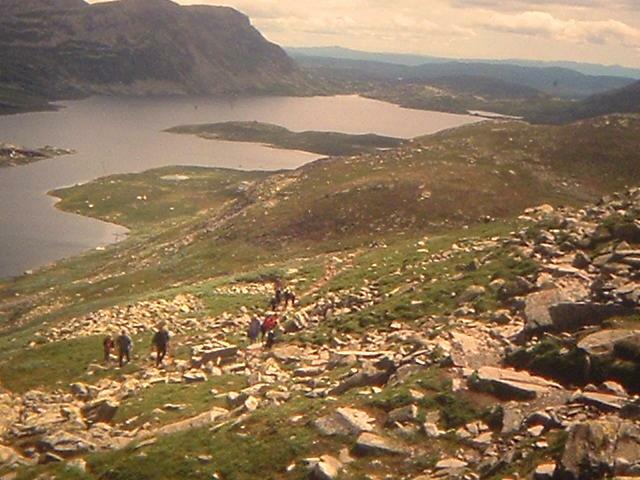 The day started near Lake Tinn at about 200 m osl, where Gausta could be seen towering 1700 m above the dale. 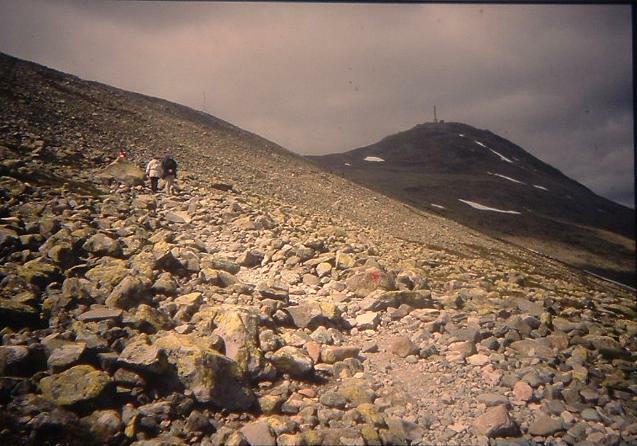 First there is a climb on bicycle up several hairpinn turns to the plateau where the hike starts. 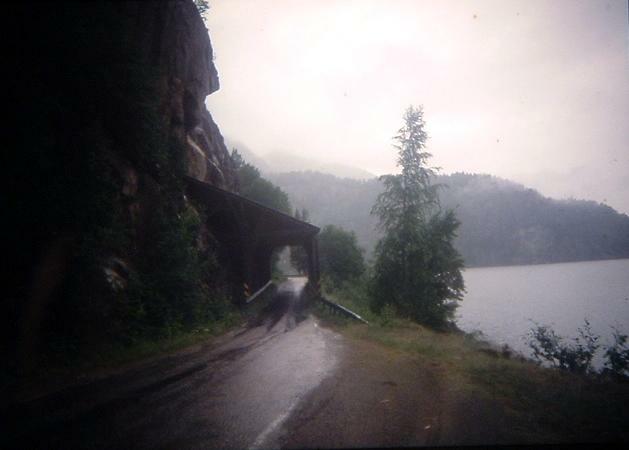 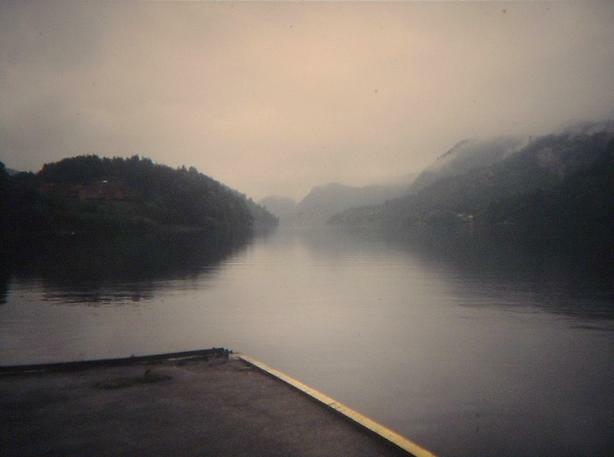 It was raining and foggy most of the way along the Telemark Canal system, which is marked as National Cycle Route #2. 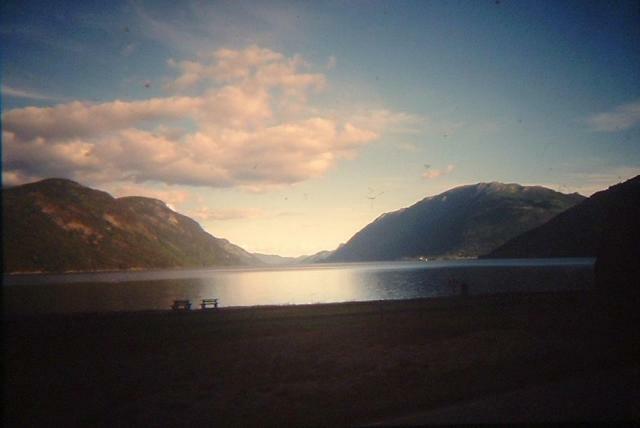 From what I could see, it was a very pretty inland fjord. 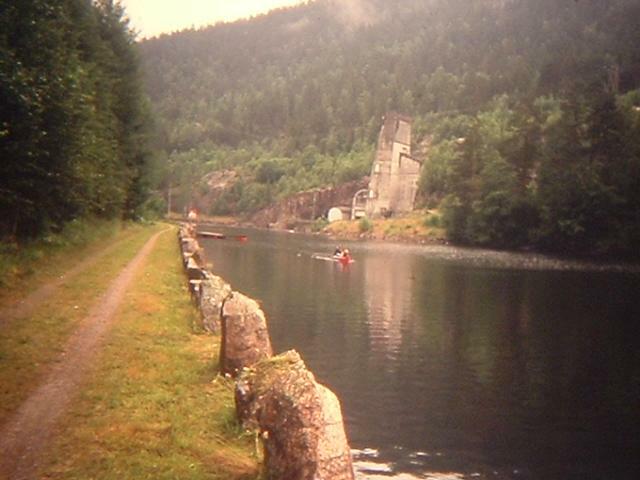 I passed the canal boat "Henrik Ibsen" several times on the way to Lunde. 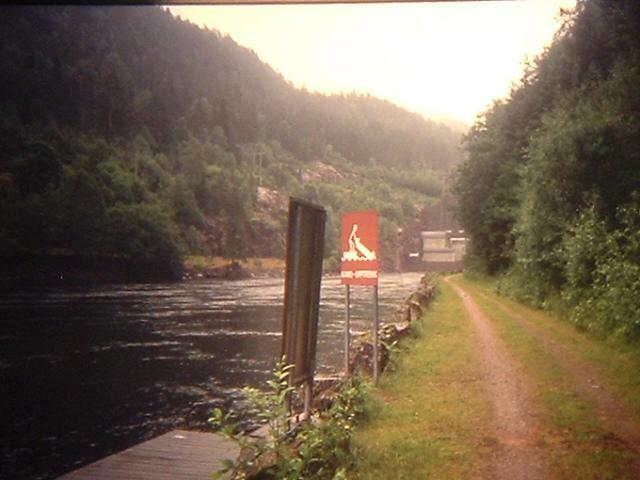 Warning to take canoes out before power station! 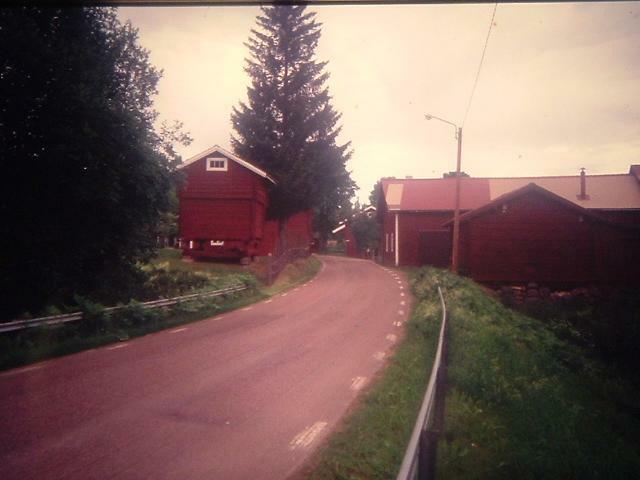 Most wood buildings are painted "Falun-red"